Inspired by Brown’s 250th anniversary, the sophomore seminar Race and Remembering collaborated to critically examine race at Brown University. This digital exhibit highlights University legacies of erasure and histories of resistance. This is a call to REMEMBER. 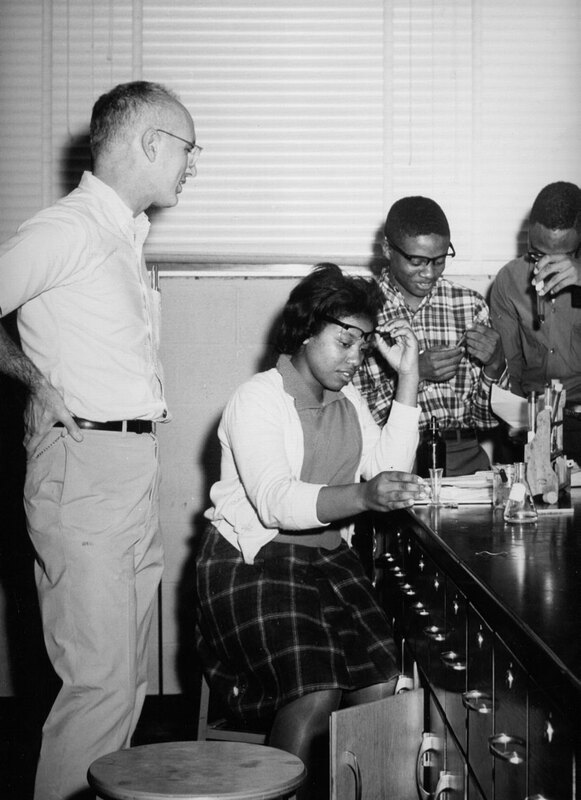 Brown University Professor, Ned Greene, in a chemistry lab with Tougaloo College students. Professor Greene was one of the first Brown faculty to participate in the Brown Tougaloo Cooperative Exchange. This is an example of white professors teaching core Science and English courses at Tougaloo as part of the Title III Application of 1964 — the official contract outlining the partnership.